The Michigan Conservation Coalition, a diverse partnership of sportsmen’s organizations and conservation groups, is seeking grassroots support for its opposition efforts regarding Senate Bill 1212 (see NMCN post “Reversing Course on Great Lake Ballast Water” (https://nmconservationnetwork.org/2012/08/29/reversing-course-on-great-lakes-ballast-water/). The Coalition is asking that its partner organizations and members sign on to this letter (or one of their own choosing) in an effort to stop this potentially damaging legislation. We are a diverse coalition of groups committed to keeping new aquatic invasive species out of the Great Lakes. We write to express our opposition to Senate Bill 1212, which would relax ballast water treatment requirements and increase the risk of unintentionally introducing new aquatic invasive species to the Great Lakes. New introductions of invasive species through ballast water could have significant negative impacts on many sectors of our economy and the health of many commercially and culturally important species that live in the Great Lakes. Great Lakes tourism is a $12.8 billion industry, and its commercial and sportfishery is valued at $7 billion annually. Additionally, the cultural value of the Great Lakes fisheries for both Native American and Michigan citizens cannot be adequately represented in dollars. More than 823,000 Michigan jobs depend on the Great Lakes and associated tourism, and over 90,000 jobs rely on the Great Lakes just in the counties which border them. Aquatic invasive species destabilize important ecological process in the lakes, like aquatic food webs and in doing so threaten the economy of communities and industries that depend on a healthy, functioning Great Lakes ecosystem. And aquatic invasive species cost Michigan citizens and businesses real dollars. Aquatic invasive species like zebra and quagga mussels are estimated to cost the region hundreds of millions of dollars annually. The largest source of aquatic invasive species is through ballast water discharged from oceangoing ships. 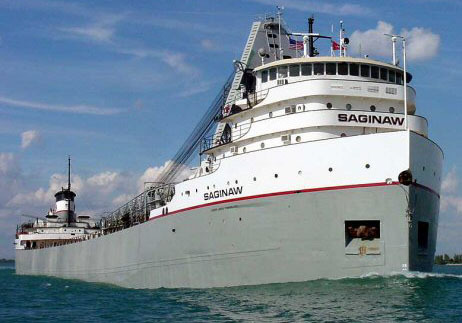 Michigan passed a law in 2005 which requires oceangoing vessels to either abstain from discharging ballast water or install environmentally-sound treatment measures. Senate Bill 1212 would allow one method – oceangoing ballast water exchange – to supplant more effective measures like ballast water treatment systems and abstaining from ballast discharge altogether. Both the U.S. Coast Guard and the E.P.A. have determined that ballast water exchange alone is not adequate to protect the Great Lakes. The Coast Guard issued new rules this year requiring transoceanic vessels to install approved ballast water treatment systems. SB 1212 is not protective enough for Michigan waters because ballast water exchange can still allow a significant amount of invasive species to enter the Great Lakes. Since less than 2% of Michigan’s port traffic is from overseas, we would be risking the Great Lakes’ $7 billion annual fishery to ease restrictions on about five or six vessels, according to DEQ estimates. Aquatic invasive species also harm commercial and subsistence Treaty Rights, along with the Michigan industries they support such as restaurants. The cultural heritage of fishing in Michigan has persisted since before Michigan itself, blending Native American Treaty Rights and Michigan citizen’s desires to sustain livelihoods and an economy built on a Great Lakes fishery. Unsubstantiated predictions of an increase in future traffic are not worth risking the hundreds of thousands of existing jobs which rely on healthy Great Lakes. Michigan has always been a leader in protecting the Great Lakes. We are concerned that SB 1212 reverses this legacy and would threaten the fish, wildlife, cultural and economic vitality of the Great Lakes. We should continue our leadership role by working with other states and the Federal government to develop common standards that effectively protect our waters from invasive species. The Great Lakes and the jobs which rely on them are too important. Please reconsider your support for SB 1212.